4 You just have to go here! 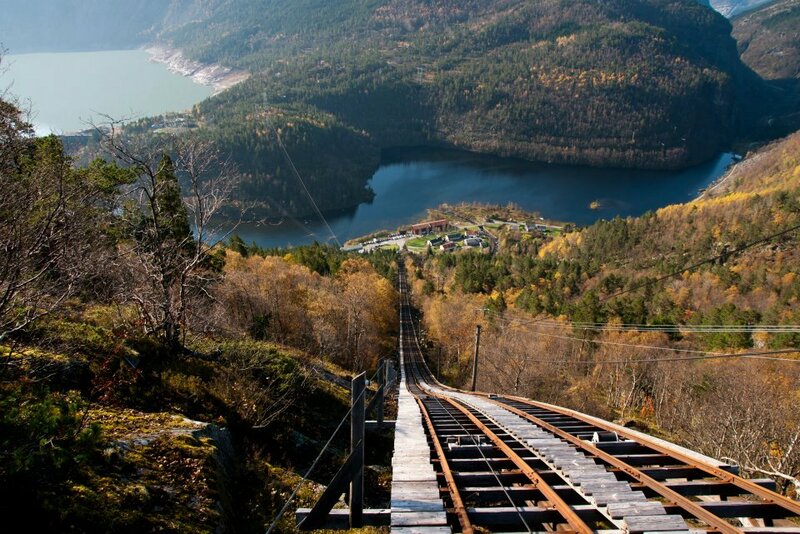 There are several routes you can take to Odda and they all take about the same time. Obviously, the ferry makes that it costs a bit more time than driving, but it saves in the kilometers. It was a bit late in the season so it was easy to park and free at the time. There were not that many people so we were off to a good start! 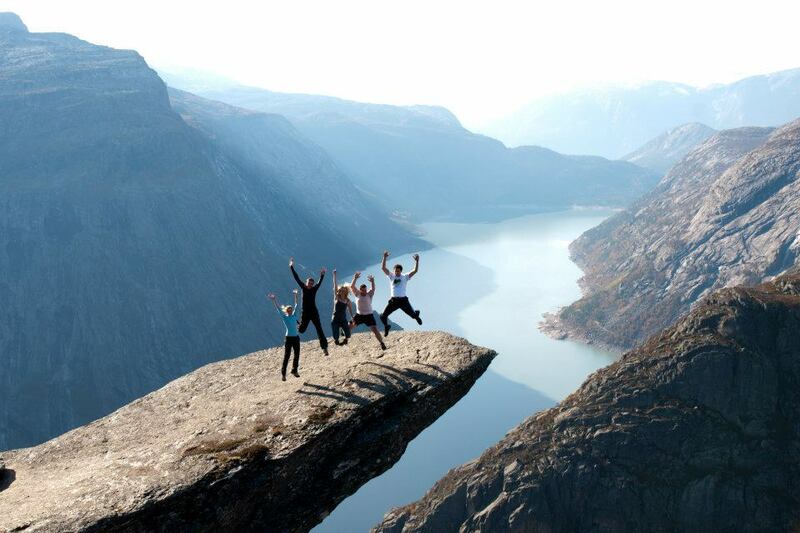 For more details on public transport to Trolltunga en parking possibilities, check this link by Fjord Norway. 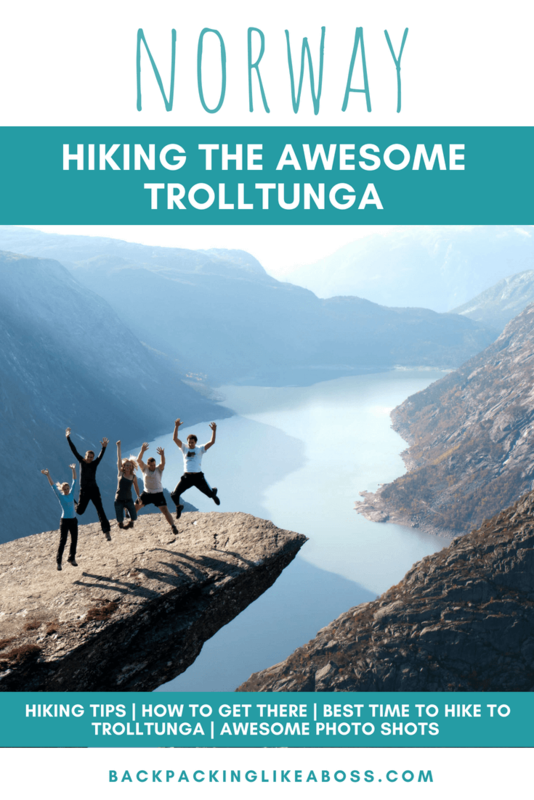 The hike to Trolltunga is almost 30 kilometers and takes roughly 10 hours. This is mainly because of the altitude meters. 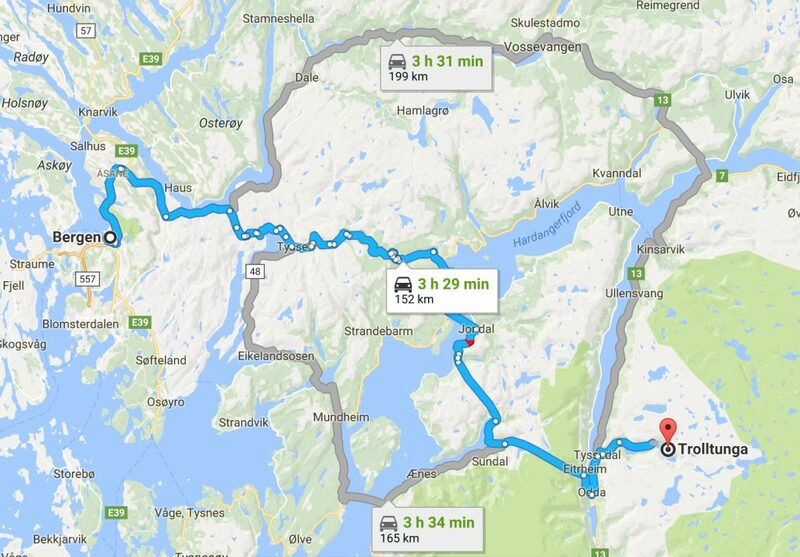 Taking into account the 10 hours and the altitude, this means the hike to Trolltunga is quite challenging. But the good thing about it being a tough hike is: there are no busloads of tourists! Even though the hike to Trolltunga can get crowded in summer, you will never have the overcrowded scenes you see elsewhere in the country. You can either climb this cableway if you are very enthusiastic, or take the normal route through the woods 🙂 This was definitely the hardest part of the way and a large part of the altitude meters! 2 of us were brave enough to conquer the steps, the rest of the group followed the trail through the woods. 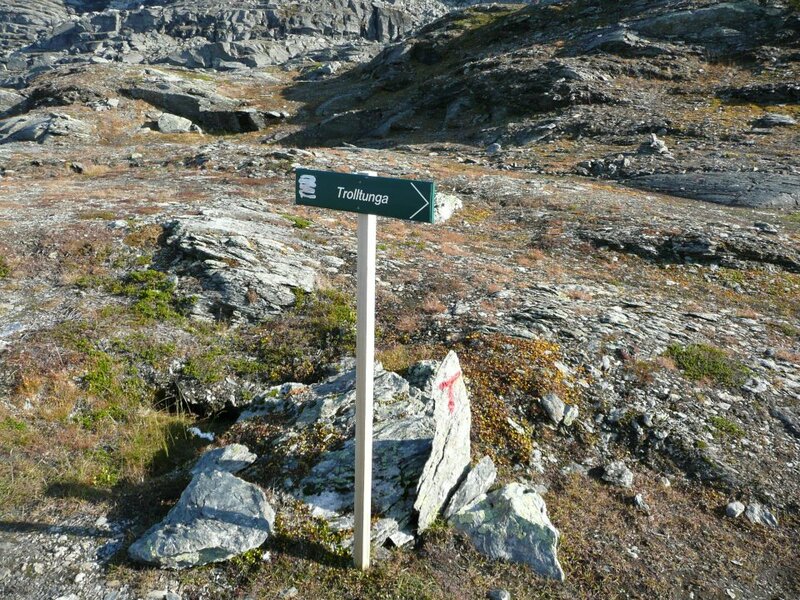 The Trolltunga hike is pretty popular and therefore also quite well sign-posted. We did the hike in October and there were few people on the track. There was a little snow already, but not much. It was a super sunny day but we were well-prepared clothing wise. In the mountains you never know, the weather may change all of a sudden! There were so many picture-perfect places along the hike, so stunning! 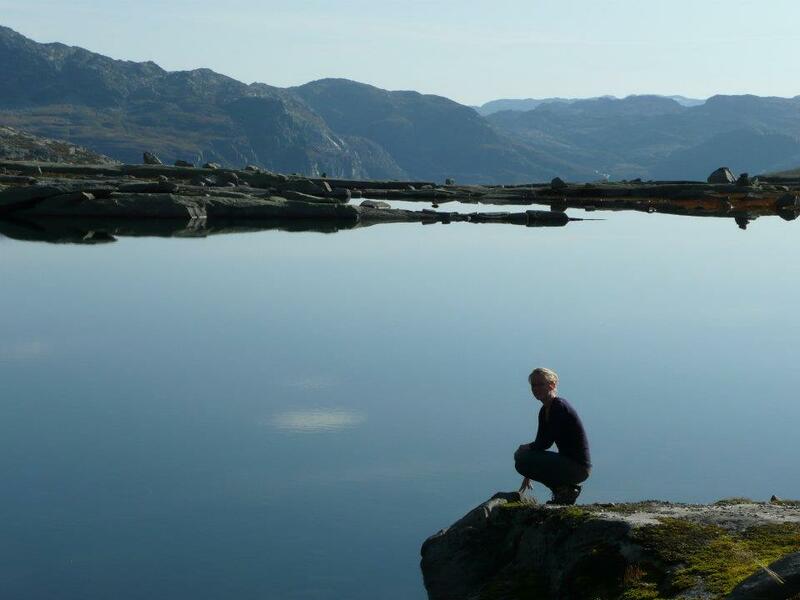 Pretty lakes, beautiful views over the fjord, no words could do this place justice! And then suddenly, we were there!! To be honest, the view of the rock itself is a bit of a deception. It’s not as much of a cliff as it looks on the pictures. It’s the angle of the picture that makes this spot absolutely amazing to take amazing pictures. And so we did! We probably spent about an hour here taking pictures and having fun (and being a bit scared). It is seriously high! I read other blogs of people that were here in summer and did not have a great time. Too many people queuing up to take pictures, not enough time. I simply don’t like crowds and was so happy we went here early October! As all of you that know me well know, I love jumping pictures! And somehow I got the rest of the group crazy enough to follow suit haha! It was actually way too high to make these kinds of jokes! You just have to go here! Amazing views and photos that will make everyone envious! 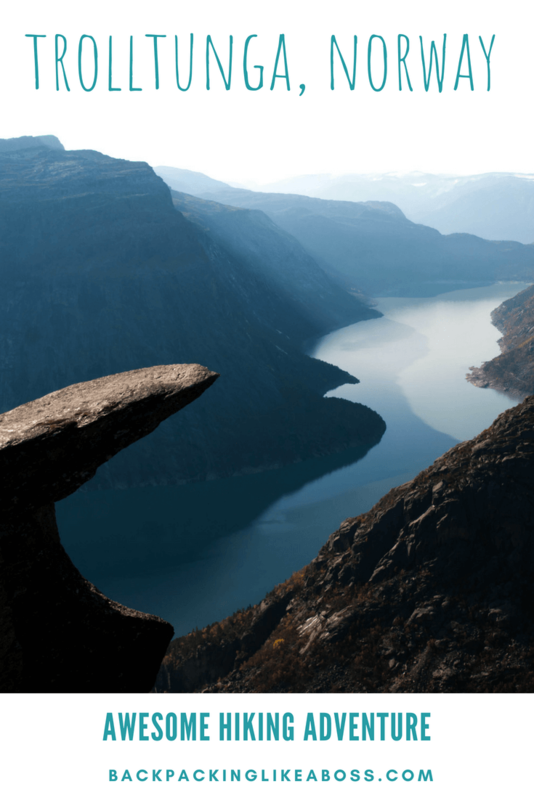 Great post, I’ve always wanted to visit Trolltunga, the view from there looks incredible! Love your pictures! I love this post and am planning this trip for early next year so thank you for this. 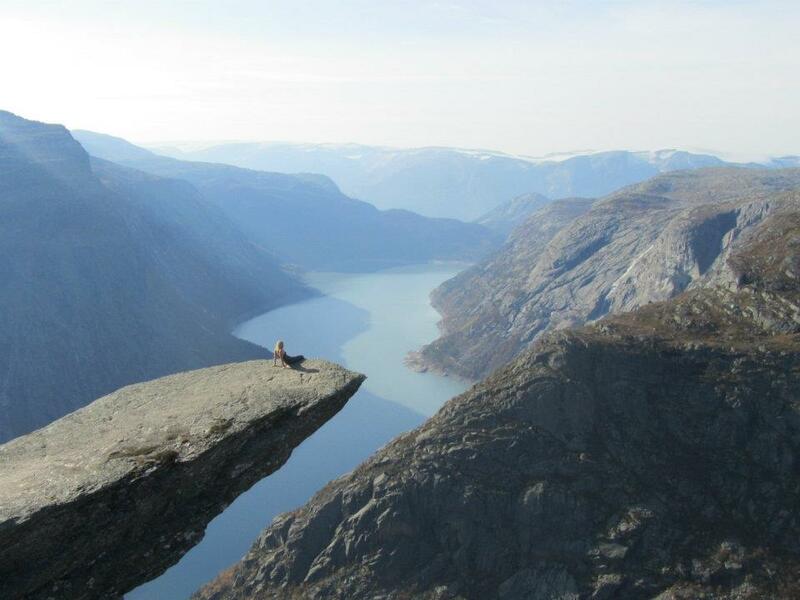 I have been to several places in Norway (it’s my favourite country) but haven’t yet made it to Trolltunga. I’m a bit intimidated by the long hike. I remember I found Preikestolen quite long, and it took me 3 hours. Can’t imagine spending 5… and then 5 more to get back! It sure is worth it, but I think I’d need to exercise a bit before the trip if I ever went there. 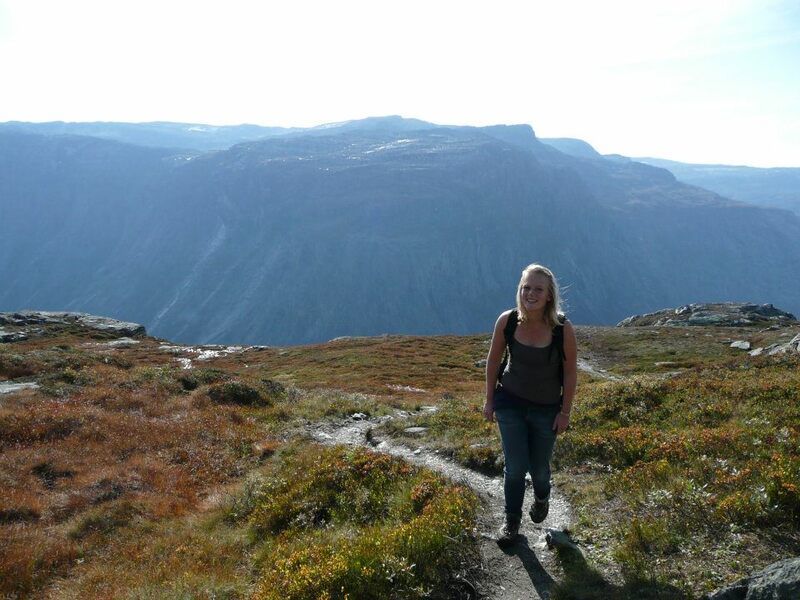 My cousin just returned from the Fjord trekking for a week. Her photos absolutely floored me. So did yours! Your pic of jumping on the cliff is scary though! This is SO high on my list! I’m actually going to Norway for the first time in December but only Oslo. 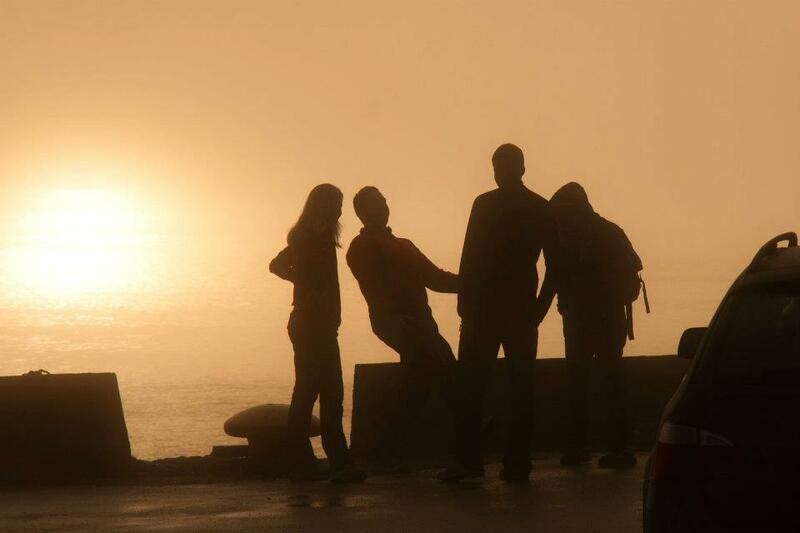 Would love to spend more time in Norway and do this. WAIT! What? IS THIS FOR REAL? My gosh. SO SO beautiful!! I can’t imagine the thrill of clicking pictures there. 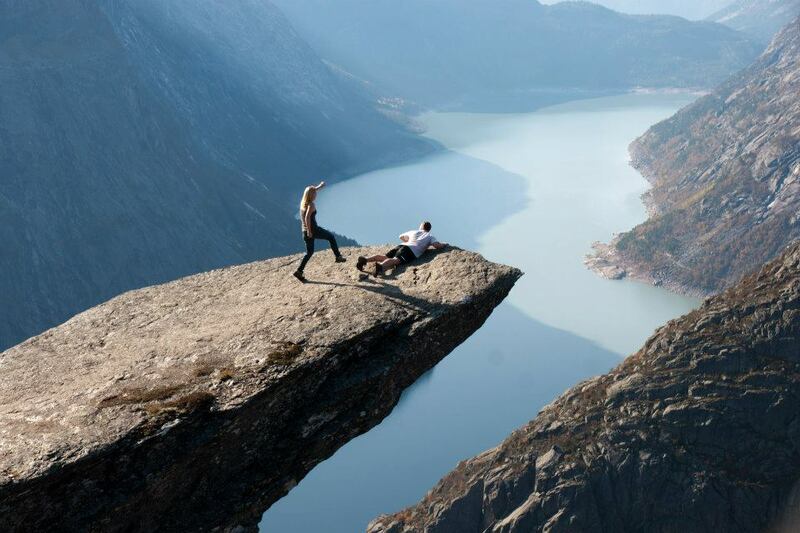 Norway is on the bucket list and if I ever go, a trip to Trolltunga is a given. These pictures are just way too incredible. I am glad you didn’t encounter any crowds. No photobombing! Yay! I LOVE Norway. It’s my dream to do this hike!! This is absolutely stunning! I never knew that the name meant troll’s tongue. Also, I don’t think I would be as brave as you with the steps. I’d take the trail through the woods. I definitely want to make this journey. I’m glad it’s still unaccessible to all the tour buses. 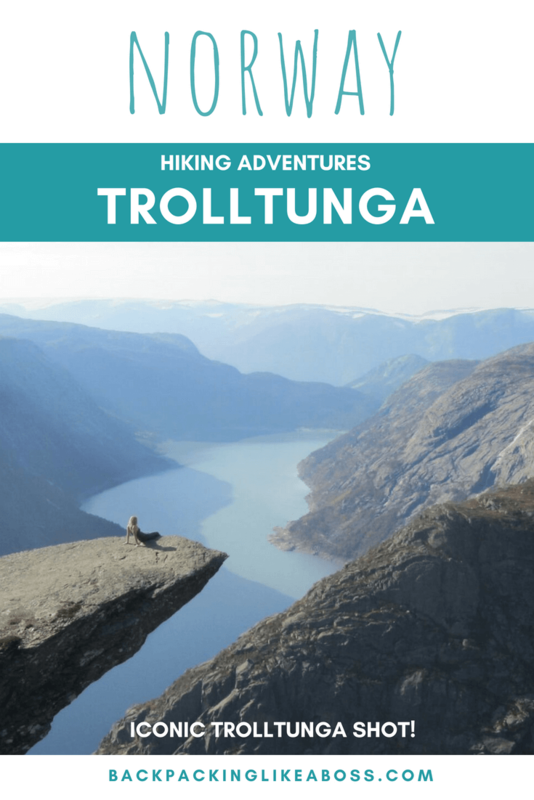 The Trolltunga hike looks challenging but worth too. The views from top are simply amazing. Honestly Before this post; I have seen this cliff picture on internet and i used to think it was fake. The jump picture is fabulous. I admire the tips you have mentioned in the post. Adding this to my bucket list for sure. Can guarantee you it’s real, although almost too good to be true! This is going on my bucket list! I’ve seen the photos before but didn’t know where it was. I think we’d have to stay in Odda before climbing. Not sure I could handle the drive AND the climb!